The Leica Z6 APO is a fully apochromatic zoom system with excellent light transmission for high contrast, high-resolution, detailed analysis. The single beam path provides 2D images and ensures parallax-free imaging. The modular design allows an optimized configuration for the individual applications. The direct attachment of a digital camera results in highest brightness levels. 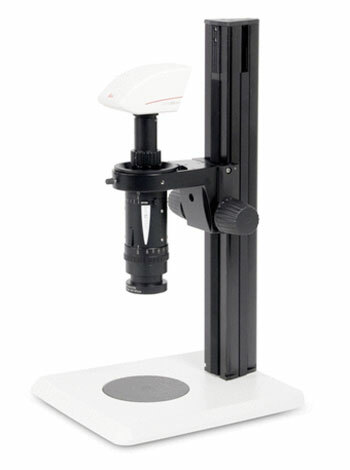 Visual inspection tasks are done with the attachment of a binocular tube from the Stereomicroscope line.